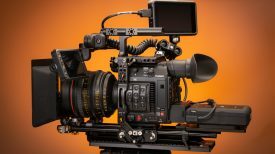 New Convergent Design firmware for the Odyssey and Apollo monitor/recorders has been released just days after the company announced a price drop for the Odyssey 7Q+. 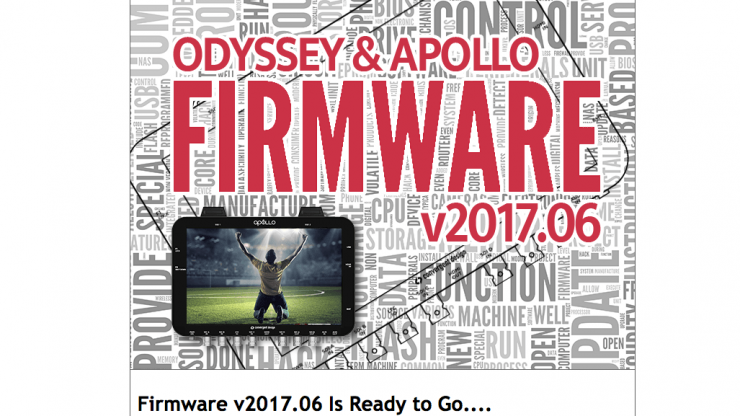 Version 2017.06 is the 17th firmware update to the Odyssey and Apollo recorder/monitor products. Version 2017.06 not only adds Titan HD Extract, but it also supports 2K/240fps RAW recording from the Panasonic Varicam LT, as long as you have the optional Convergent Design RAW bundle. Avid DNxHD Recording has also been added to both the Odyssey and Apollo. 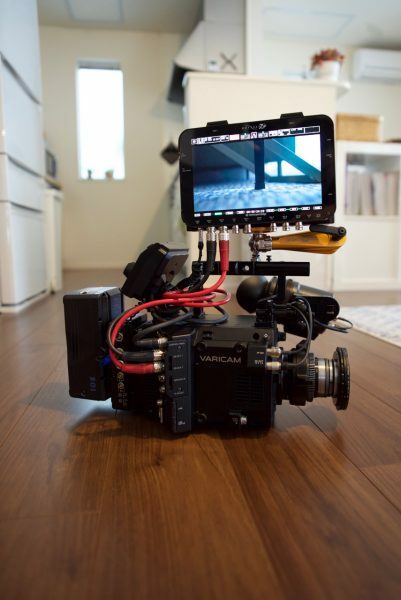 The 2K RAW at up to 240fps from the Varicam LT should be a good indicator of what you should be able to expect from the EVA-1. Avid DNxHD recording is now supported. It’s taken a while but finally Convergent Design Odyssey and Apollo owners can record in Avid’s DNxHD. 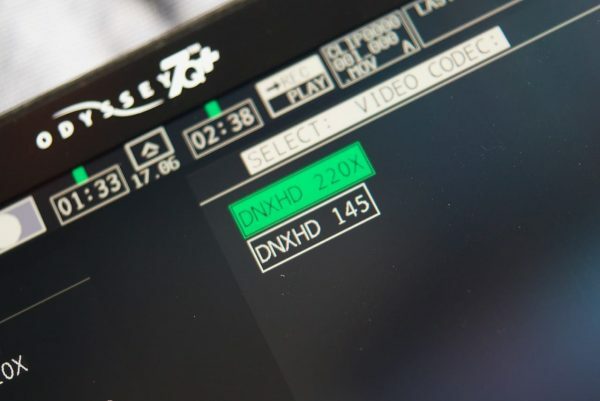 DNxHD support is available at both 145 and 220 Mbps data-rates for common HD formats (1080i50/60, 720p50/60, and 1080p25/30) as well as 1080p50/60 video. The compressed video files are recorded in a QuickTime wrapper (.mov extension). Odyssey7Q/7Q+ can record a single stream of DNxHD, while the Apollo (or Odyssey w/ Apollo Option) can record up to four independent streams simultaneously. You do have to use a new transfer tool (Convergent Design Apple ProRes and Avid DNxHD Transfer Tool 3.0” or “CD Transfer 3.0” for short) to transfer the footage. You can download the latest Convergent Design firmware here. Simultaneously record up to four streams of Avid DNxHD 220 or 145Mb. Note: Activation Key required (free) to enable Quad-HD DNxHD .Mov Support. 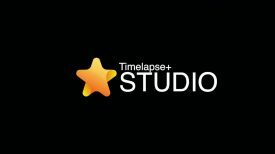 Option to “deselect” or select a Timecode window which is baked into the Quad-Split recorded image in Quad-HD Apple ProRes, or Avid DNxHD Recordings. Single Channel Recording to Avid DNxHD 4:2:2 at 220 or 145 Mb. Note: Activation Key required (free) to enable HD DNxHD .Mov Support. FIXED Apple Prores Playback Scrubbing artifact in lower right corner. 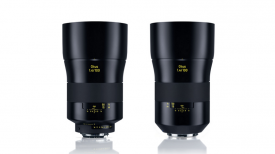 IMPROVED Dual 6G SDI Support. IMPROVED Detection of 4K 50/60p signals. RESTORE DEFAULTS: Is now automatically performed on power-up immediately after a firmware update (a dialog alerts user when this happens). Please note settings before updating, and adjust settings as needed after updating. Support Added for Avid DNxHD Files, Note DNxHD recordings will not work with previous transfer tool. Avid DNxHD .MOV File Support with QuickTime Player 7.